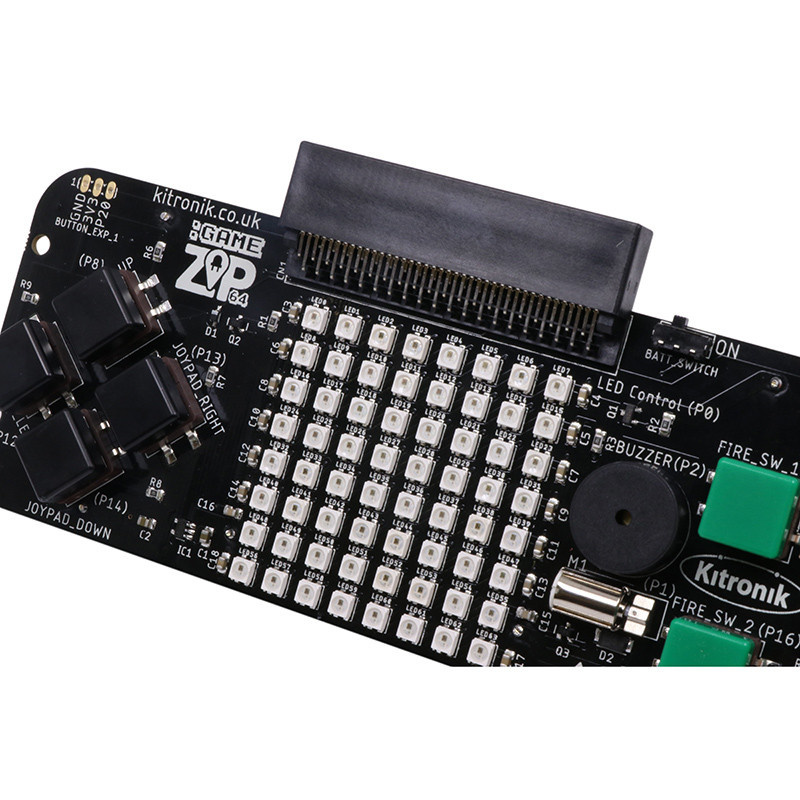 The Kitronik :GAME ZIP 64 is the ultimate retro gaming accessory for the BBC microbit. It has been designed to be an all in one hand held gaming platform, which also includes a built in, 64 (8x8) individually addressable full colour ZIP LED, screen. It features on-board sound, 4 x directional buttons, 2 fire buttons, haptic feedback, and breakout points so shoulder buttons or I2C devices can be added. All of these features are fully programmable. We have also included breakout points to allow for the use of larger LED screens. 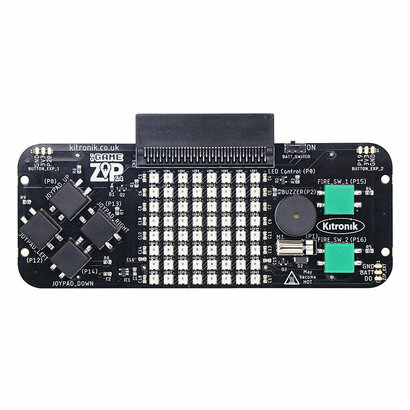 All of microbits features are still available when plugged in to the :GAME ZIP 64, so your games can still make use of the LED matrix, accelerometer etc. Power is provided via the built in 3 x AA battery cages which have been ergonomically placed to act as hand grips which makes the :GAME ZIP 64 comfortable to hold and play. We have produced some example games in both MakeCode Blocks and MicroPython that can be freely downloaded from the resources section below so you can begin playing games straight away. If you prefer to code your own games, it also offers the perfect platform for developing and testing micro:bit games. 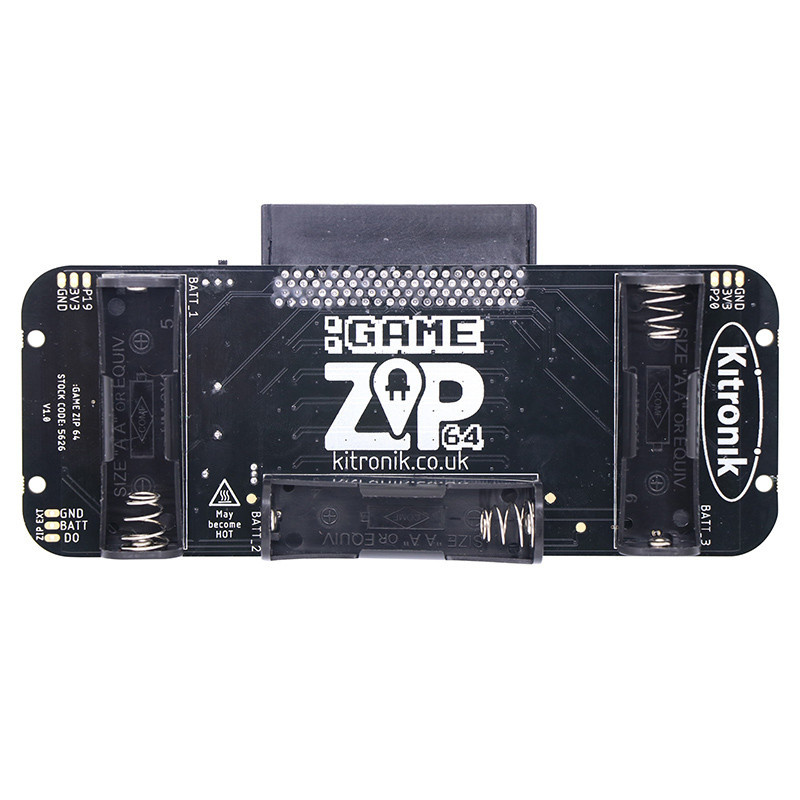 The Kitronik MI:pro protector cases can be used to create a game 'cartridge' that can be labeled and that will not only protect the microbit from damage, but also from accidental overwriting. The BBC microbit is NOT included. All in one hand-held gaming solution for the BBC micro:bit. 64 individually addressable ZIP LED display screen. Fully programmable on-board sound, directional buttons, fire buttons, and haptic feedback. Breakout pads for adding shoulder buttons or I2C devices. Breakout pads for driving larger LED screens. Ergonomic design for comfortable game-play. Use MI:pro protector cases to create a handy game cartridge. 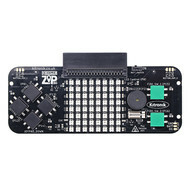 It can also be coded to be a controller for your buggy or robotics projects. 1 x :GAME ZIP 64 for the BBC microbit.